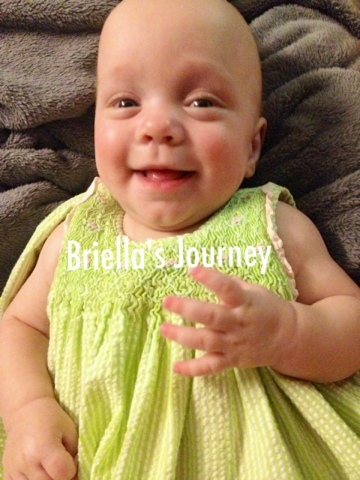 Briella's Journey: Busy Busy Busy! 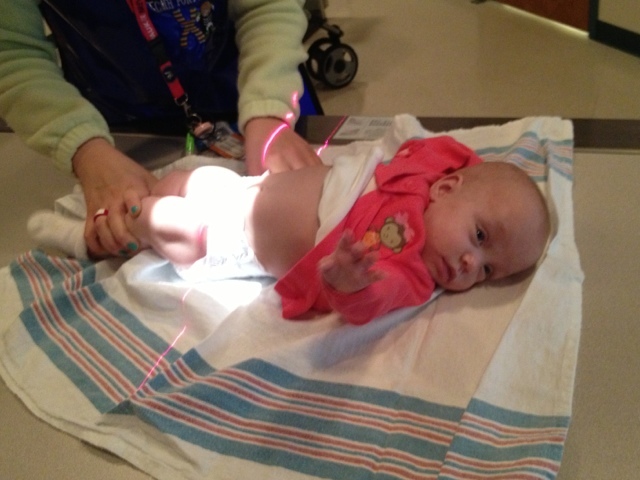 Well with Miss Brie being able to be more active from the reflux relief, she has catching up to do. 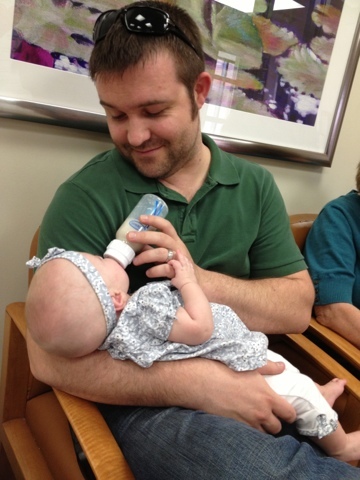 We had an appointment yesterday at a neurodevelopment clinic. 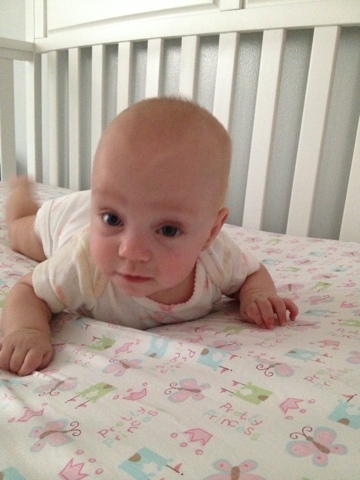 She is behind in gross motor skills but doing great in social skills. Crawling & walking possibly will be delayed. 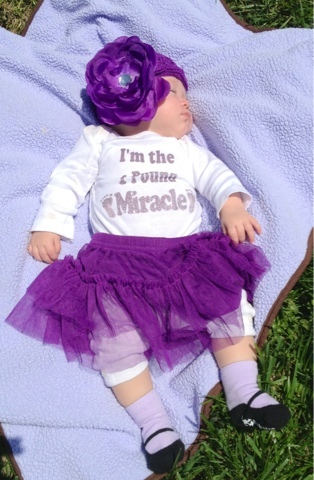 But we will work hard every day to give her the therapy she needs to succeed. While we were at that appointment we stopped by our NICU for our 1st visit back to see all the wonderful people who took such great care of my baby. I had to really compose myself. It was hard being back there. I kept telling Briella that she got to leave with us this time. Today we spent the entire day at Children's Mercy hospital. It started out as a routine Special Care Clinic visit. Then we were sent to have her hip x rayed. Results came back normal so no hard cast for us!!! Then we went for a hearing test. She passed with flying colors. The sound is correctly going to the cochlear & being heard by the brain. Now we still aren't sure if the brain is processing the sound as she doesn't respond to us yet. But that will come in time. 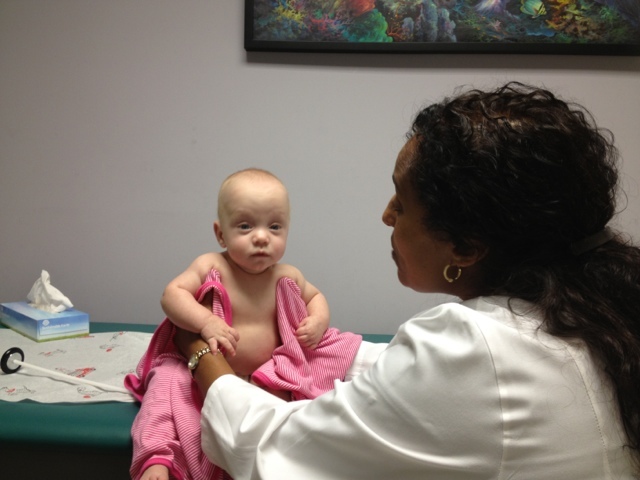 Tomorrow she has her 6 month vaccines. She is actually 7 months on Saturday but are behind due to her getting a cold. It took a good 16 days for her body to fight it off. But she did and that's what matters. 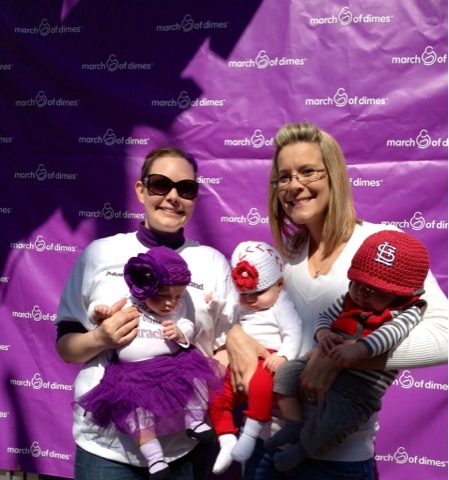 Sunday we participated in our 1st March of Dimes walk. It felt so great to be able to be there celebrating our 23 weeker and all of her accomplishments. 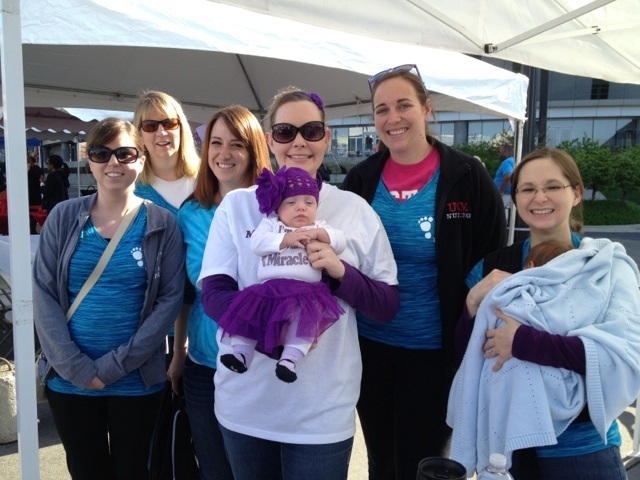 It felt even better to raise money for research to end prematurity. I now feel like there is a purpose in all of this happening to our family. I feel the need to raise awareness, support other moms & get Briella's story out there so many hospitals and doctors (like my OB & my original hospital) won't give up on 23 weekers. I have planned a pancake breakfast in July at Applebee's to raise money for March of Dimes & am looking into a golf tournament. 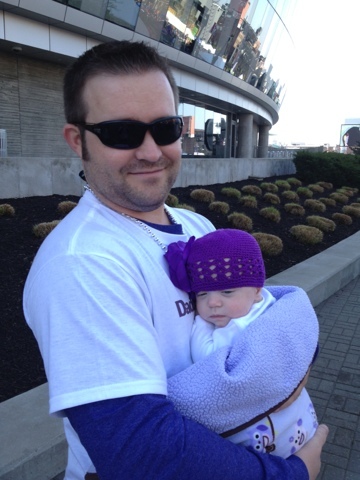 I want to raise the most money as a family team in Kansas City for the 2014 walk. That's my goal! 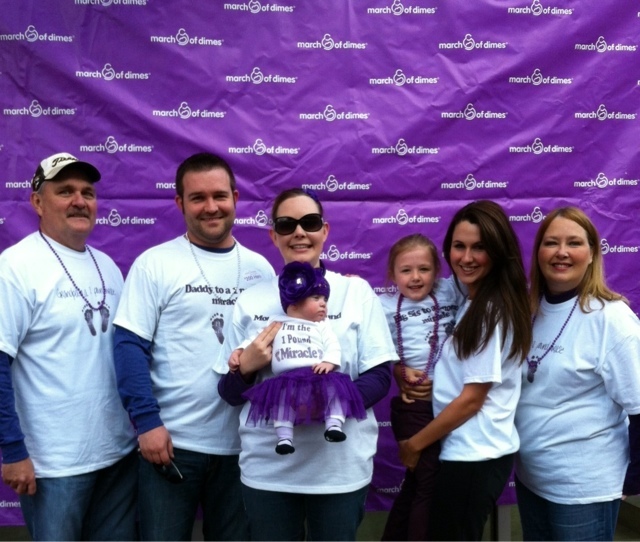 We want to have a team of walkers and families so large that it makes a statement. 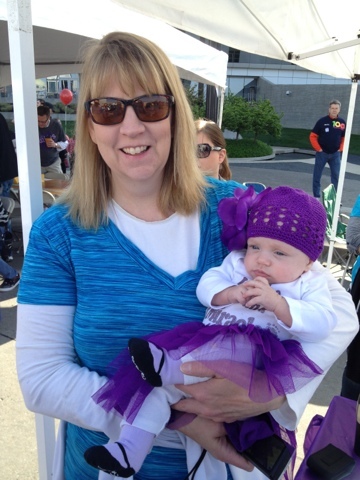 So if you would like to join us in making a difference, whether you have a preemie or walking in honor of one or just because you want to feel inspired, please let me know!!! We would love to have you all!! Strength in numbers! The bigger the team the more support we can give each other in meeting our goals! Also, if anyone local wants to join our team, any of the local events I put on this year, if you are able to work it I will divide the money up between everyone's team :) So you will get the credit. Oh, and Miss Briella weighs 12lbs 10oz & is over 23 inches long!! !